Welsh broadcaster S4C is being given a £10m government loan to help with the channel's forthcoming relocation from Llanishen to Carmarthen. Culture Secretary Karen Bradley said the loan would help “secure the future of Welsh language broadcasting". The move to a new HQ will reportedly create 800 jobs. Additionally, S4C will share technical facilities with BBC Cymru Wales in Cardiff. In addition to the relocation loan, S4C is also being given £350,000 by the Department for Culture, Media and Sport (DCMS) to upgrade its technical and IT equipment. The majority of regular funding for the channel will continue to come from the licence fee, with the BBC obligated to provide 10 hours of programming a week to the channel. 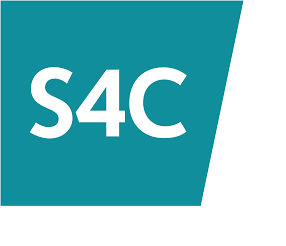 The DCMS has also confirmed that it will be launching a review of the nearly 35-year old channel to ensure "the sustainability of S4C" in the near future. The review will look at the remit, governance and funding of S4C. The DCMS says that the loan will ensure financial stability throughout the review process. "We are making Britain a country that works for all, and are committed to securing the future of Welsh language broadcasting. S4C has a proud history of showcasing some of the best of British talent and catering to Welsh-speaking audiences around the world. This money will not only ensure S4C continues to prosper, but also that the channel is equipped to compete globally."